Our world seems overwhelmed by chaos. The problems we face are monumental and interconnected to the rest of the world and we don’t seem to be able to hide our heads under the blankets any longer and have them all go away. In fact, the only solutions seem to be ones in which we take collaborative action; actions requiring us to put aside our inner fears, our negative approach and to move into unfamiliar waters. Collaborative action is based in putting aside personal interests and needs for the benefit of a larger goal. It takes inclusiveness, seeing oneself as part of a larger whole, walking in someone else’s shoes. These qualities are especially strong in women. By their very nature they are peace makers, interested in building strong relationships, looking for common bonds and shared interests. These are just some of the feminine attributes that women possess which we need to rely on to overcome the chaos. Many women are taking a more powerful stance today. If you haven’t viewed “Women, War and Peace” yet, be sure to see this amazing documentary showing what women in war torn areas of our world have been doing to change not only their lives but all our lives. These women are using their attributes in a positive way. Now is the time for us to realize that these natural attributes, too long overlooked and/or negated, are crucial for positive change today and in the future. We need to encourage ourselves and our young women to value our feminine perspective. It is only through the addition of the feminine perspective that we will achieve balance and peace in our world. “I feel strongly that the global community is beginning to respond. These three reasons promote change. If we in ourselves have a sense of urgency concerning a problem, clearly understand what the problem is and the steps needed for change – change can happen. In our world today, the economic crisis is only one of the chaotic situations that we face. 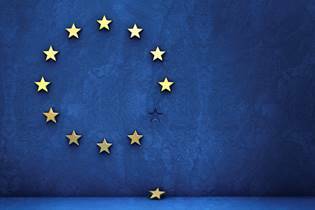 All around us we are beset by problems in international relations, education, health care, and unemployment – a seemingly overwhelming array. It’s enough to make you want to get in bed, pull the covers over your head and hide. That won’t get us through this. However, all around us there is something else stirring; a force, a movement that like young seedlings making their way into the light is happening. Women are waking up to their possibilities. There is definitely an urgency to make change now. The diagnosis appears to be a great imbalance in the world from years of living from a masculine perspective. (Aggression, hierarchy in business, etc.) The steps needed to create that change rely on developing a greater feminine perspective in our lives. The steps for this to happen, for women to take the lead and to begin to influence now, include discovering who they truly are beneath all the socialization, claiming those attributes and bringing them forth into our world. Do you feel the urgency? Share the diagnosis? Are you willing to take the steps, claim your birthright and make a difference? Isn’t It Time To Ratify CEDAW? There are numerous documents, reports and anecdotal information pointing out that in communities (whether it be rural, suburban, city or corporation) in which women have an equal and active role society improves. 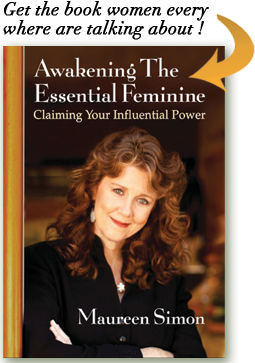 Women, as Maureen Simon points out in her book, “Awakening The Essential Feminine: Claiming Your Influential Power”, have natural gifts for building relationships, verbal ability and communication that creates connection and harmony. Consider this: “The feminine is highly relational and is interested in points of contact that connect people, allowing for deep exchanges, strong relationship building and communication.” Can the world benefit from these skills? It is time for us to join with forward thinking and acting governments and to ratify CEDAW. We must reclaim our belief in ourselves.